The AEPS is a philatelic federation, a society for societies, providing the increasingly important bridge between local and national levels. The AEPS currently supports societies in Essex, east London, south-east Hertfordshire and southern Suffolk. Just as individual collectors benefit by belonging to a local society, so individual societies are strengthened by being members of an association. The Association comprises a Council, with up to three delegates from each society. The Council meets about five times a year on a Saturday afternoon to discuss forthcoming events, means of promoting philately at all levels and any other matters of interest. It is supported and guided by an Executive Committee, which usually meets before the Council meeting to prepare any presentations which may be required and to discuss routine operational matters. Each year, the AEPS arranges a Spring Stamp Day and an Autumn Rally under the "StampEssex” brand, usually hosted by a volunteer society. The AEPS represents the interests of members of local societies at national level on bodies such as the Council of the Association of British Philatelic Societies (ABPS) and at British Thematic Association (BTA). 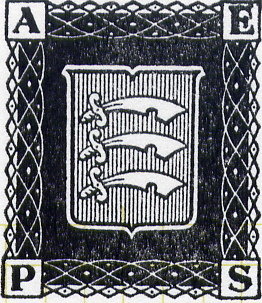 The AEPS produces a quarterly "AEPS Bulletin” newsletter giving details of events and other matters of interest to Society members, a monthly Combined Programme of forthcoming society meetings and a handbook "Philately in Essex”.